I am using a fabric color called "stormy night" and I think it's perfect for this project. I stitched some more of the lacy border today and am ready to start the next square. I have a couple of small things pin-basted and ready to quilt, too. I think I used the darks from this fabric collection better in this design. 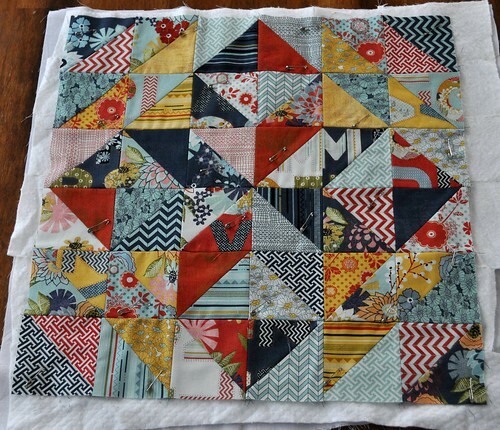 Still not sure how I will quilt it. And I made a little pumpkin last week. I copied the idea from Amy at Diary of a Quilter; she posted it on her blog last year and I had put it on my Halloween pinterest page. It's going to be a little wall hanging. 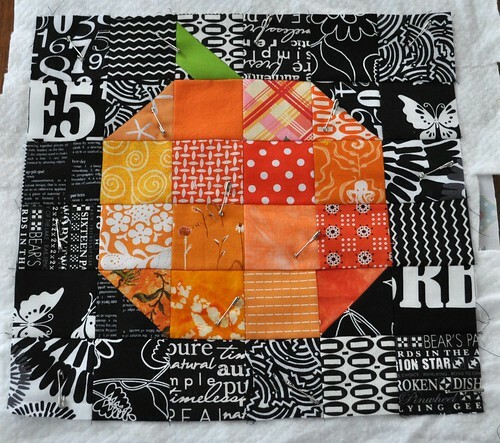 I'm going to the Seattle MQG sew-in tomorrow, maybe I'll do the quilting while I'm there. We had a family outing to the Halloween store yesterday; my girl got really scared and we decided I'm making her a mermaid costume for Halloween this year. I'll let you know how it goes. 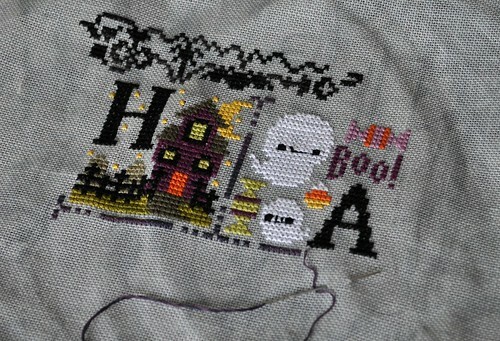 I love the colour you've used for your sampler. Mine was a little pale and the white doesn't pop.